5 Most Eco-Friendly Beauty Brands — Anna Akbari, Ph.D. The cosmetics industry produces billions and billions of units of waste in packaging every year, and lots of products contain chemicals you wouldn’t exactly think to apply to your skin. However, there are some standouts in terms of environmentally sound and natural practices. Plus, it’s easier to get a look of minimalist, natural beauty when you’re using natural products. 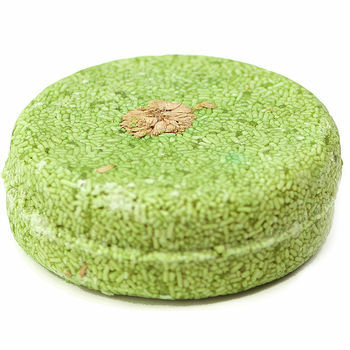 Check out this list to see if your favorite brand is doing their part for the earth and your health, or discover some new must-have makeup that Mother Nature would approve of: LUSH Cosmetics Karma Komba Solid Shampoo If you’ve ever been to one of Lush’s “deli-style” stores, you know that their cosmetics are fresh and handmade. Their overall business model, from bottom to top, is also grounded in ethics and sustainability. They don’t use palm oil, are almost entirely cruelty-free, and 75% of their products are entirely free of synthetic materials. Most famously, they’ve pioneered the idea of “naked” cosmetics – selling some products without a container so as to lessen the environmental impact. Don’t be intimidated by the fact that their products often come solid or gelled, like this bar shampoo. They’re easier to use than they look, and super long lasting – just wet your hair and glide the bar over the length of it a few times, then work into a lather and shampoo as usual. This bar features several essential oils which calm and soothe tangled problem hair while making you smell delicious, naturally. 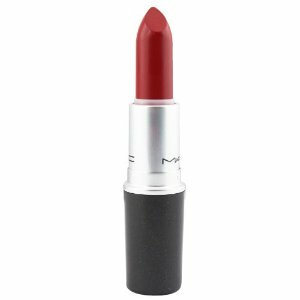 MAC Russian Red Matte Lipstick MAC cosmetics are well-known for being high quality, photogenic, and highly-pigmented products, which makes them the likely choice on a fashion runway and in your going-out clutch. However, don’t can your MAC containers when you’re finished with them. Bring them back to the store to participate in the “Back to MAC” program – MAC will recycle the containers and hook you up with a free lipstick. So don’t beat yourself up for your addiction to iconic shades like Russian Red. Just think of it as an incentive to give back to the environment and yourself. Already a fan? You can also recycle your old containers using the online form here. 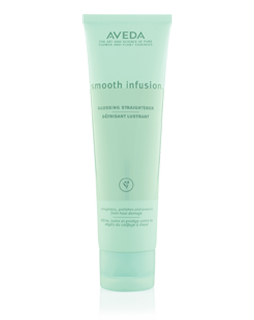 Aveda Smooth Infusion Glossing Straightener Aveda has historically been great at recognizing the importance of environmentally-minded practices. In 1989, they were the first private company to adhere to the CERES Principles of sustainability, and have made good on that contract by manufacturing with wind power and producing their skin and hair product packaging with 100% post-consumer recycled PET. This glossing straightener uses plant-based cellulose and organic aloe to defrizz and add shine. Apply to damp hair before blow-drying or straightening for a smooth, straight finish, or let hair air-dry to add shine and softness to your natural texture. 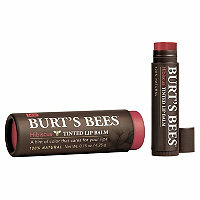 Burts Bees Tinted Lip Balm The Burts Bees sustainability philosophy is that natural care is best for customers and the environment. To supplement their earth-friendly ethos, they also innovated a team of environmentally-conscious employee volunteers to implement sustainability initiatives and goals throughout the company, referred to as the “ECOBEES.” For a quick swipe of shimmery color, try their tinted lip balm – with coconut oil, shea butter, and, of course, beeswax, it’s as nourishing as a lip balm could get, leaving your lips soft and your conscience clean. 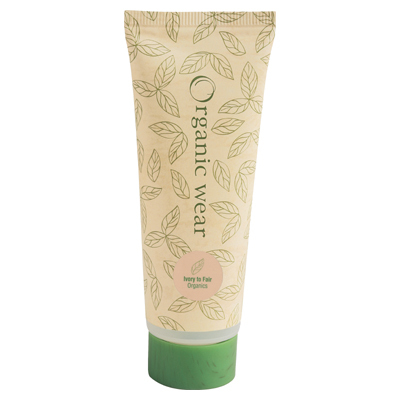 Physicians Formula Organic Wear Tinted Moisturizer Physicians Formula makes products that are hypoallergenic, paraben-free and nutritious for your skin, but their Organic Wear line can help ease your environmental impact as well. This tinted moisturizer is absolutely loaded with great ingredients like organic lavender and avocado oils and shea butter, and the packaging is made from recycled plastic. Apply for moderate coverage that soothes and smoothes your skin.